Fluffy rice in a pot, every time! 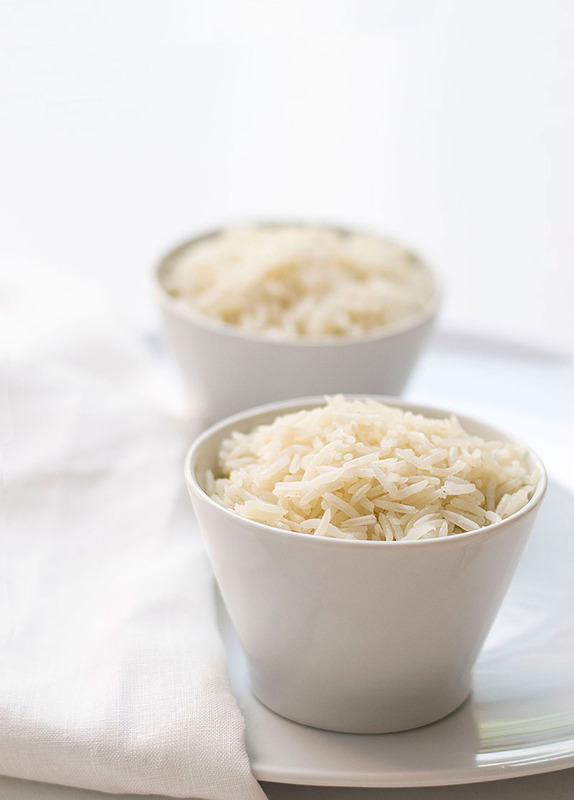 A simple and easy method for perfect fluffy rice in a pot, every time! 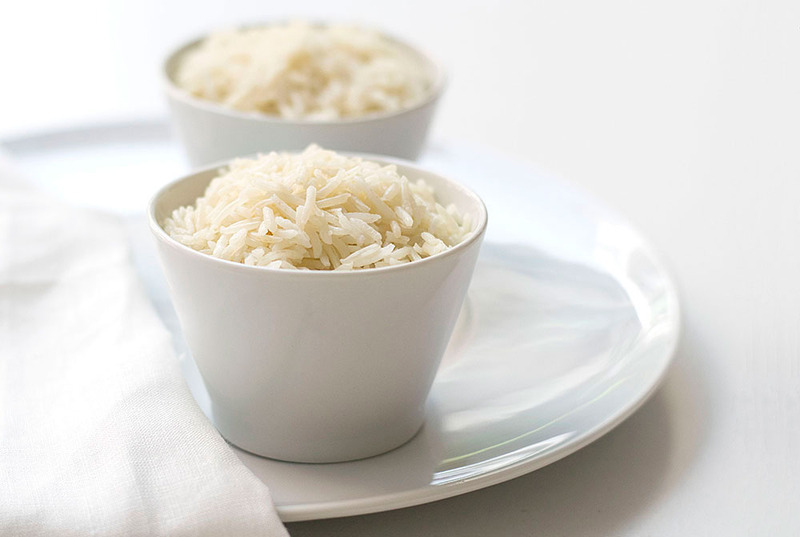 Use Basmati or Jasmin rice for extra flavor. If I haven’t mentioned it, I’m from Crete. And in Crete, we have very nice recipes that have been developed through the years, using local, fresh ingredients and herbs/aromatics (like this chicken soup risotto). The thing is, that in Crete we don’t normaly make fluffy rice in a pot. Nor in a rice maker for that matter. 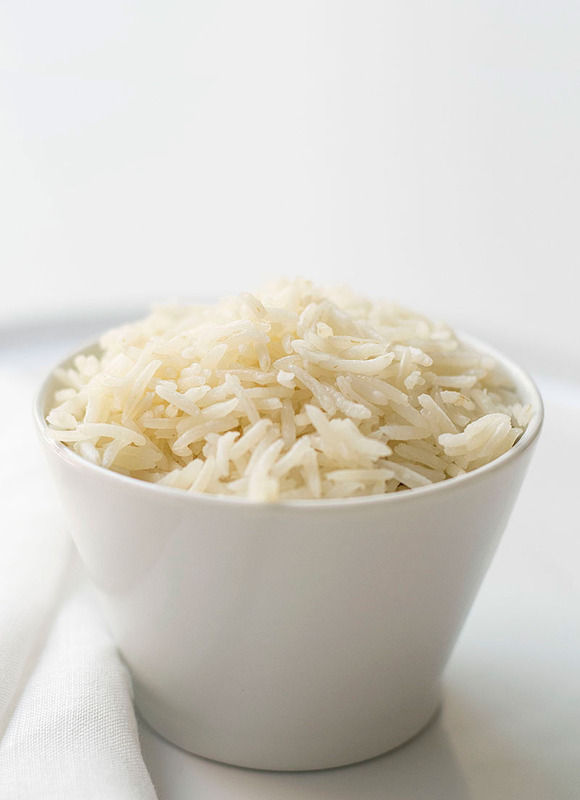 When we use rice, we use it to make foods like risottos or puddings. 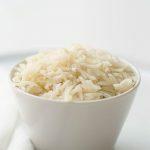 In that sort of recipes, rice gets a “creamy” consistency since it slowly releases all its starch that will eventually result in a velvety dish. We call these dishes “pilaf” or “pilafi” maybe a word that has been passed down by the Turkish terminology. But pilaf can also be fluffy, like this Moroccan rice (pilaf)! The first time I tried rice, not risotto style, I was intrigued. I think it was in a restaurant at a tourist area and the thing I liked was the different texture of the rice seeds that didn’t stick to each other! Remember I was used to pilaf 🙂 . BUT, the flavor was a little bland. This happens when you boil the rice and then you drain it to get the desired result. Because this type of rice pairs well with a lot of dishes (like this Mediterranean cuttlefish stew) and it’s a perfect side dish – especially if you add some veggies – I knew I had to make it better. In this method, you sauté the rice in a little olive oil (or any other vegetable oil of your choosing) until it gets somewhat translucent and starts to smell nutty. This step ensures it will taste much better so don’t be afraid to even burn a little bit some of the seeds; they will add a nice tone to the finished dish. After that, you just add water and salt and boil until almost all of the water is absorbed. Then, you just turn off the heat, fluff it gently with a fork and let it rest on the stove. Letting it rest, you allow it to steem with the residual heat, and you give the grains the chance to plump up and cook completely. While rice is resting, you should not touch a single grain! You don’t want to traumatize those fragile grains. Just let it rest until it cools down a bit. After about 20 minutes you can gently re-fluff it up with a fork and serve it onto plates. And voila! 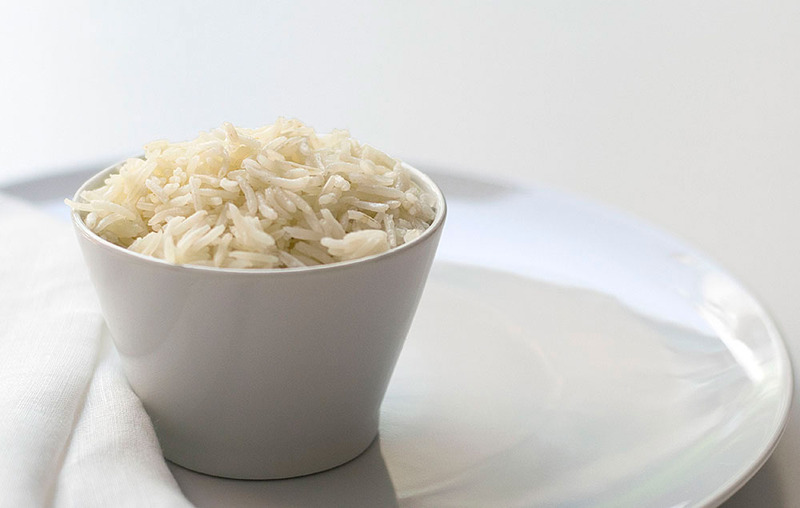 Perfect fluffy rice in a pot! Put oil and rice in a deep, heavy bottomed pot. Open the heat to medium and stir until rice is fragrant. Add the water and the salt, cover and let it simmer. When all the water is almost absorbed (about 10-15 min), turn off the heat, fluff it up gently with a fork and let it rest for 20 min. After 20 min, stir gently with a fork to re-fluff, and serve. Eat.